DO YOU WANT TO WORK IN A HOSPITAL OR IN PATIENT’S HOMES? BUT AS A HOME HEALTH AIDE. WE ONLY ACCEPT 15 STUDENTS PER CLASS TO GIVE YOU THE BEST EDUCATION. HURRY AND SAVE YOUR SEAT NOW. This All-inclusive Training program will train you as a Certified Nurse Assistant (CNA) and Home Health Aide (CHHA). 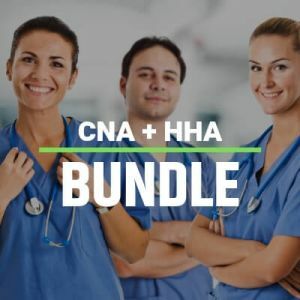 This bundle is ideal for people who want to work in Nursing homes, Patient’s home, or with Hospice Agencies. This opens the door to a variety of employment opportunities. With this bundle you will be able to get 2 licenses which will enable you to make more money. Homecare and Hospice pay higher wages compared to skilled nursing facilities. Homecare agencies and Hospice agencies both require the CHHA license. © 2019 Western Medical Training Center.